We’ve just finished a great three days at the MQTC v2.0.1.7 conference in Sandusky, Ohio. MQTC is the only conference dedicated to IBM MQ education, and was again very well attended by speakers, sponsors and attendees. Both Paul and Morag gave technical presentations as we mentioned in an earlier blog post. For the first time in the 5-year run of this conference, we started the conference with an unopposed session, “What’s New in IBM Messaging”, before splitting into 5 tracks as in previous years. Roger Lacroix, who is the founder of the conference, made some opening remarks prior to that session, and then took his first ever selfie with the audience! MQGem was a Gold Sponsor of the conference, and so also had a couple of vendor presentation sessions which were presented by Paul; the first on Monday, was about our MQ administration products, MO71 and MQSCX. Then on Wednesday, the second presentation was about our Message Manipulation products, MQEdit and QLOAD. In the lab room this year, complementing the z/OS platform lab exercises provided by Lyn Elkins and Mitch Johnson, we made freely available our soon-to-be-released education courses. These were available for those people wanting to learn things on the distributed platforms, and a number of people tried them out. Our prize draw this year was to win access to five free courses, when they go live in around a months time. It was very heartening to see people learn new things while doing the courses, and good feedback was received on the exercises. 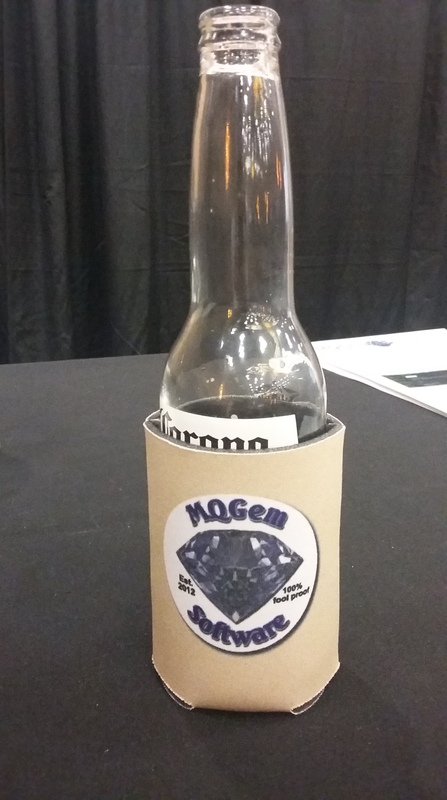 We also had a booth in the Sponsor Pavilion on Monday and Tuesday evening, where we gave personalised demos of any of the products to attendees who came by, gave out product brochures, free mouse mats, and beer koozies, and collected entries for our prize draw. Yet again, the Kalahari Resort has done this conference proud, and huge thanks go to Capitalware for putting on a great three days. And that's a wrap. What a great week at #MQTC2017 learning about #IBMMQ. Thanks to Roger and the @Capitalware team for a great event. #MQTC2017 is in the books! Safe travels to everyone, and we look forward to hearing from those we met at the show! The conference presentation material will gradually become available on this page. T.Rob also has his material here. This entry was posted in MQGem News and tagged conference, IBM MQ, IBM WebSphere MQ, MQTC, tools, WebSphere MQ by mqgem. Bookmark the permalink.